A young enthusiastic edu-preneur, Radhika Sharma strives to transform the school social space and engage students positively. 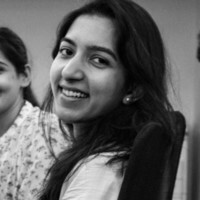 Her two and a half year old startup, The School Social, is bringing new experimental models of using the digital space and social media to give unique solutions to increase community engagement within the school social space. At the age of 23, she was perturbed by the odd effects of social media on young teens' emotional wellbeing and since then she has been working on using the same means to create a positive impact in a young student's world. Hardships knew no bound when she had to create a sustainable business out of a creative idea that was sown deep in goodwill. Bootstrapped and self reliant, the startup has not aimed at funding from outside till present, but is working hard and sustaining on its own feet. From a corner of her house, she has taken this out in the market and built up a team that is equally enthusiastic and positively motivated. With a major in literature from JNU and a management certificate from IIT, Delhi, Radhika Sharma is an entrepreneur-in-making who is backed by research based academia and innate management skills, while being driven by truth, love and compassion at all times.